Most of us take our driving licenses for granted. We do not care until we lose our privileges to drive the car. There are lots of reasons for suspending or revoking your driving license. You can lose your driving license for both driving or car related reasons and non-car or driving related reasons. 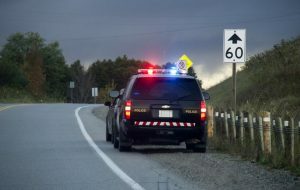 If you drive at a very high speed and get caught, they will add a demerit point to your license. If you cross a certain point limit then your license will be suspended. This point limit is different in every state. But if you do not repeat the same crime in six months then the demerit point will be deducted. If you break any traffic signal or park in a no parking area, you will get a ticket as well as a demerit point. It can cause temporary suspension. Note: Your driving record will have a significant impact on your auto insurance policy. 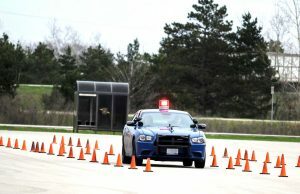 Drunk driving is the most common reasons for the suspended driving license. Most of the time a young driver gets caught in this type of case. Young college students go to the party and get drunk. They return driving drunk. If you get caught for this type of offense multiple times a year, you will lose your permission of driving. If you carry illegal drugs in your car and get caught then you will lose the freedom of driving. If you get involved in an accident, do not try to leave the place unnoticed. If you do so, the police will take that very seriously and consider that as a crime or attempt of a crime. And file a charge of crime, the accident case will become a criminal case and until you prove your innocence in court your driving license will remain suspended. If you engage in a road race then you are breaking the law. Illegal road races are a punishable crime. It is a criminal act. So, if you are engaged in a road race and get caught, you can be sure that you will lose your driving privilege temporarily. Road rage is a common matter but if you become violent and attack someone with your vehicles, you will lose your driving license permanently. It will bed considered as an attempt on life charge. You cannot attack anyone with your vehicle. These are the reasons related to driving that can because you lose your driving license temporarily. But there are some other reasons those are not directly related to driving. So let?s know them. If you do not pay your fines on time then you will lose your driving license. It is the most common reasons. Even, people lose driving license due to this instead of driving reasons. If you get convicted in a drug-related case, the court can suspend your driving license. Now you know the reasons for the suspension of a driving license. Hope you drive sensible and never do any such things that you will prevent you from driving.